We’re heading to Cherry Hill, NJ! 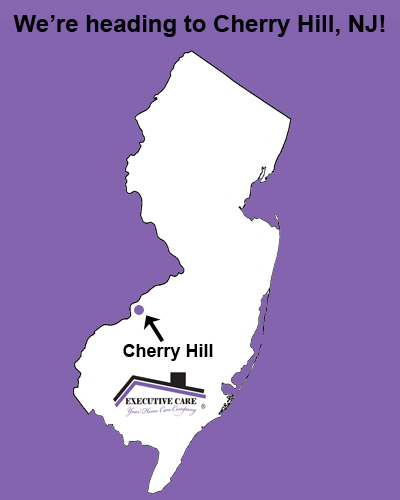 Executive Care is moving to south New Jersey with an office in Cherry Hill! Dr. Kara Conliffe is a resident of Cherry Hill and is ready to start her Executive Care franchise. Sensitive to the caregiving needs of those with illnesses and the local aging population, Conliffe launches Executive Care with a clear understanding that individuals should receive care where they are most comfortable — in their home. Her investment in Executive Care means Cherry Hill residents and others in nearby Camden County communities will soon have a new level of skilled and non-medical care. We are very excited to have Kara on board and cannot wait for our first office on South Jersey to open!